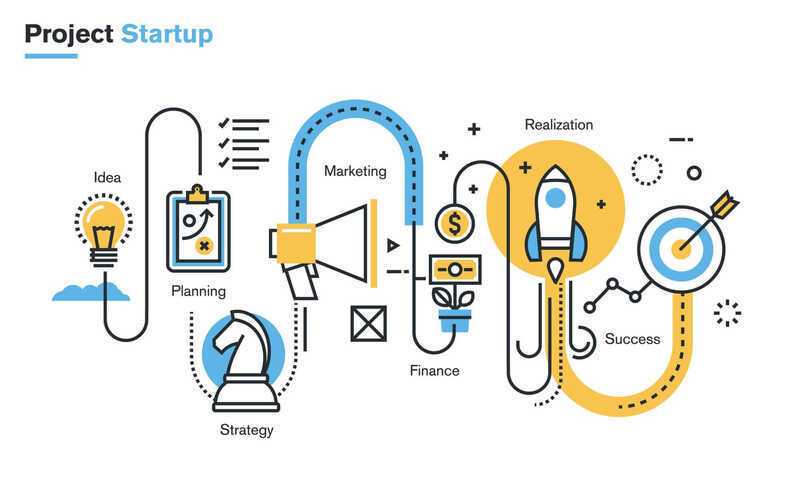 Launching a successful tech startup is a complex endeavor that depends upon many and many factors. Some are internal and can be controlled. Think of the quality of the product, the innovation, or the relentless customer focus. Some others are external, thus cannot be controlled. Think about timing, the success of a complementary technology that allows yours to thrive and so on. In this article, I want to focus on five factors that Bill Gross, founder of Idealab and GoTo (afterward named Overture) identified. It is important to remark this analysis is not “scientific” in the strict sense as Bill Gross applied subjective parameters to each factor in consideration. However, overall I think it is a good starting point to understand what makes a tech startup successful. We’ll be tackling them from the most important to the least important according to Bill Gross. We all know that being in the right place and the right moment is critical. That is even more so in technology. As new technology becomes part of the innovation landscape, their success depends upon how they the ability of those technologies to be understood by a broad audience, to be necessary for other businesses grow and to be ready to be adopted. For instance, when Google finally developed a search engine that would be able to give relevant results the time seemed to be right. Before that, the Internet was made primarily of web portals, that didn’t understand, neither had the interest to follow a different model. However, in that period the same portals, like Yahoo and AOL understood the importance of offering differentiated traffic. In other words, for the first time at the end of the 1990s and the beginning of the 2000s, the Internet was transitioning from pure traffic generation to qualified traffic generation. That’s where an innovative tool like Google came in handy. In other cases, when you push too early on a technology that is not ready yet, as other complementing technologies are not powerful enough you might be doomed to failure. For instance, Bill Gross, the founder of Overture, back in the 1990s was already looking to an alternative search engine that would be based on natural language. This was undoubtedly innovative, and it was something that people would have liked. However, the timing might have been too early. As semantic technologies were not mature enough to be the main component of search, the whole endeavor became unfeasible. How do you assess if the timing is right? Although there is no easy way, you can look around and see whether complementary technologies are mature enough. Take the case in which you have a product, like a video service, which makes it possible for anyone to watch in streaming your content. As that video service runs on a particular technology for which there is not yet accepted standard, millions of users might be not able to use your content. That tells you that you’re too early. How do you handle that? You can either push to reach as fast as possible the right timing (think of when Google, together with other commercial search engines developed Schema.org as an attempt to bring semantic search to its core algorithm, today Schema is a critical part of that). Or you need to have allocated the resources to survive long enough for when the timing is right. Thus, you need to make sure to plan ahead and understand what’s your burn rate to avoid going out of business too early. As Bill Gross puts it, one of the reasons he founded Idealab, and he called it this way is because he was convinced that ideas were the most crucial aspect of building a successful tech startup. However, throughout the years he changes his mind. By going through several successes and way more failures, he figured that ideas only came after the team of people chosen to execute it. That connects us to the next point. Often you hear people scared of telling you their ideas as you might steal them. But as Bill Gross remarked as soon as you start implementing those ideas the real world “punches you in the face.” Some ideas turn out to be successful, right away. But those are gems. For instance, when Bill Gross came out with his search engine, GoTo, he also thought about a – at the time – revolutionary business model, that of pay per click. That idea at the time seemed extremely crazy. Before Bill Gross could prove it, it took him a team of people to execute it, and he had to spend months on the road divulgating that idea. Only when the concept was proved, and that idea turned out to be a business model making millions of dollars in profits, Google took notice. Bill Gross ranks the business model as the fourth factor among the five most important factors for a tech startup to succeed. The reason is simple. Startups can initially go about even without a business model. If you take the example of a few startups (Google comprised), those initially didn’t have a monetization strategy at all. And Google’s founders were pretty reluctant about advertising. Those companies were focused on technology, product and build up a users base, quickly. Although I agree that the business model isn’t necessarily something you need to have for initial success. In fact, during the first phase making sure you have the best product and technology is critical. Also, usually investors’ money will allow the company to survive for a few years before understanding what’s the right business model. However, it is essential to remark that there is a moment in the life of any startup where coming up with the right business model makes the difference between life and death. For instance, when Google understood that the pay per click model was viable, had it ignored that fact, most probably GoTo would have gained significant traction. Thus, dwarfing Google itself. That’s why Larry Page pushed so much on the AOL deal. There are specific moments in the life of a startup where the focus needs to be a hundred percent on the business side. At that moment business modeling becomes the only critical factor. Funding is a critical factor for any startup success, yet not the number one. If you have the right timing, team, idea, business model you can grow your business organically. In fact, in many cases funding, if too early can be detrimental for the growth of the startup. If you inject too much money too early into an organization, you might be making grow it artificially. Organic growth often is the best way to select who deserves to survive. If the above factors are in place, funding is always an option. As we’ve seen Bill Gross has identified five factors, comprising ideas, team, business model, funding, and timing. He placed timing, team, and ideas on the top three. Factors like timing largely depend on luck. That’s why making sure to monitor the startup burn rate (how long your startup can survive with the funds it has available) is critical. On the other hand, the business model and funding are the last two, as Bill Gross argues that a startup can initially thrive if it misses one of the two. We have to remark that those two factors seem to be mutually exclusive. In other words, if you miss a viable business model, you might want to look for funding so your startup can keep building a great product while experimenting with several business models. On the other hand, if you do have a viable business model, then the best way to test its sustainability is organic growth. Therefore, you might not need funding for that. While I agree with Bill Gross’ factors and how he ranked them. I want to emphasize that in the life of any startup there is a moment in which choosing the right business model is critical. In that specific window, business modeling becomes the only factor!